Home » Blog » Creatures » Featured Articles » UK » Trevor’s Week for the 20th April. Trevor’s Week for the 20th April. We have started releasing some of the 96 over wintered hedgehogs we have been looking after. A big thank you to everyone who has been helping with them especially Kathy who has been co-ordinating it all, as well as looking after 40 of them from home herself. Hedgehogs Kringle, Danish and Bangalore all went home to Wivelsfield Green. Up the road Bindi, Balti, Tikka, Korma and Biryani were returned to South Chailey as well as Sandy, Mahout and Chips back to Burgess Hill. In Eastbourne we have returned Medusa, Fungus, Yuletide, Jack, Beanstalk and Samosa. In Heathfield Kathy and I returned Darth Vader and Luke Skywalker to their home. Ariel and Hamlet were freed in Lewes along with Maharaja and Sonic in Ditchling. In Seaford we managed to return Herbert and also Spice and BB8 were released together as they were found in the same garden. Just up the road at South Heighton we released Pakora. Mangalore and Wookie have been freed in Uckfield plus Dracula at Stone Cross, Satsuma in Rodmel, Delhi in Polegate and Rizzo in Newhaven. 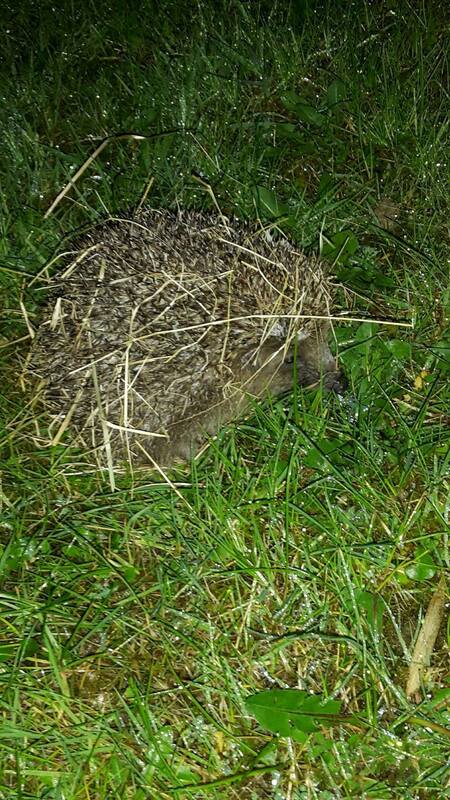 Over 30 hedgehogs have gone out for release now. If you want to find out more about hedgehogs why not pop along and see us at Jollyes Pet Food Store in Hailsham with our Hedgehog Education Trailer between 10am and 4pm from Sunday 1st to Tuesday 3rd May as part of Hedgehog Awareness Week. 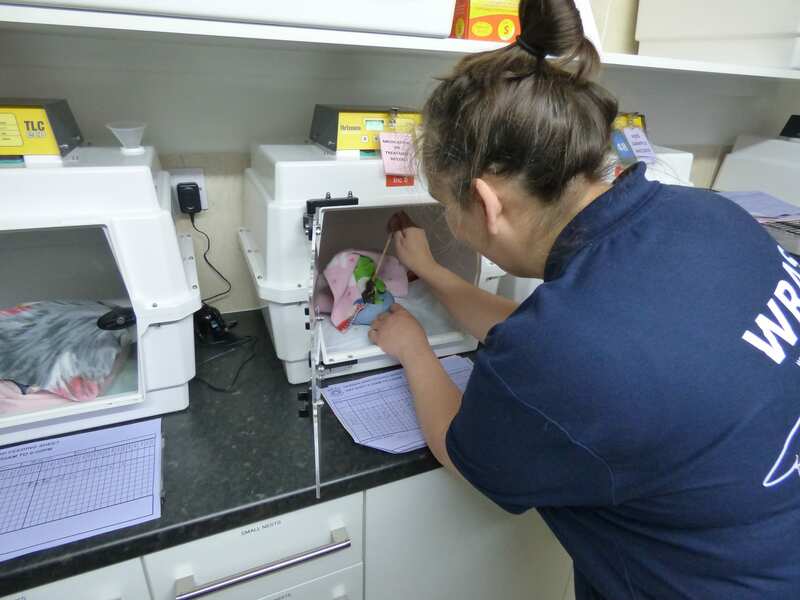 Our orphan team have been kept busy again this week. 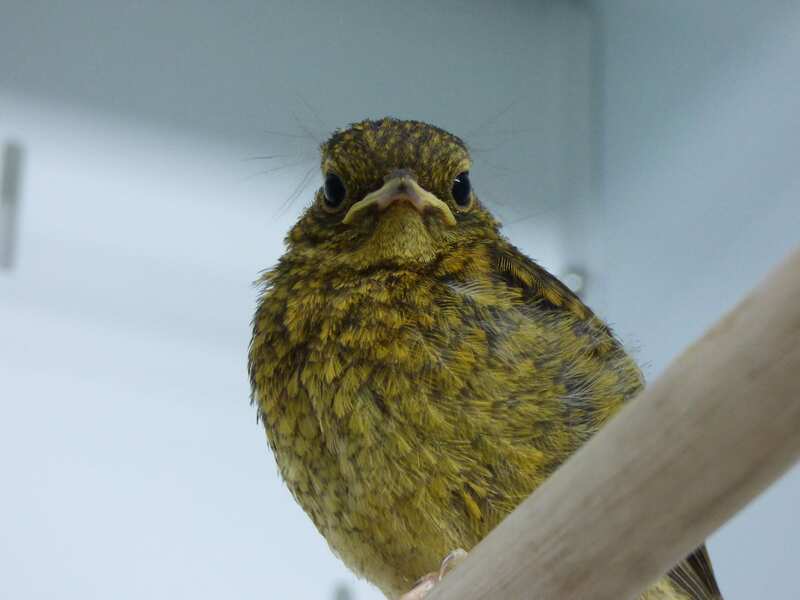 Rescuer Kai and Gemma rescued a very small baby robin in Timberly Road, Ridgewood. He was warmed up and given fluids at the hospital by Rescuer Coordinator Chris Riddington before being taken to Orphan Rearing Leader Lindsay for overnight care. A little blackbird has come in from Downland Copse in Uckfield. Found in the middle of the road but picked up by some kind hearted passer-by. WRAS’s Assistant Manager Katie Nunn-Nash took him home for the night to rehydrate and warm him up. Our rescuers had a heartbreaking evening last week. Rescuers received a call around 7pm to a fox cub found at Holywell Eastbourne. Rescuer Manager Chris collected the youngster and started heading to the centre to meet me for further assessment. On the way, the cub took a sudden turn for the worse and the team pulled over at the roadside to provide emergency first aid. The cub was then rushed straight to our vet Mike who assessed him and gave further treatment. Fearing a head trauma our vet stabilised the cub and he was taken back to our centre for further care. Sadly not long after, the cub started coughing up blood and rapidly going down hill. The vet was called again and after nearly 3 hours of trying to save the cub he was sadly put to sleep. Thank you to our vet and care team for trying so hard and the caller for getting him to us so quick. Other calls our ambulances have dealt with this week include a couple of jackdaws trapped in wood burning stove at Woodmancote. It was late at night and outside our area but sadly there are very few 24 hour rescue services in the South East of England, and the lady was desperate for help. Another late night call saw Kathy and I attended a road casualty Mallard Duck at Hurst Green. 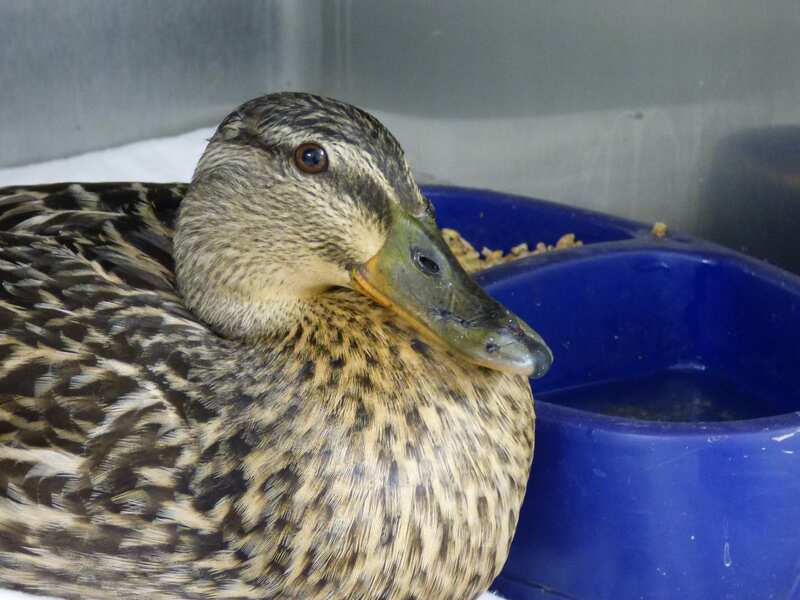 The finders volunteer for South Essex Wildlife Hospital and couldn’t find anyone more local to help so we after seeking an appeal for help on Facebook we attended. Raystede have passed over a number of casualties to us recently. The latest of them being a road casualty Tanwy Owl with a very nasty series of injuries to the pelvis, head and a large open fracture to the left wing. We have experienced a lot of calls over the past few weeks to birds caught in netting. It really is getting annoying that netting is being used so much and causing so much death and suffering. Its not just gulls and pigeons, but we have experienced owls, kingfishers and herons too entangled. There seems to be a lack of responsibility from landlords and building owners/management and netting is not being maintained. When instructed to repair, replace or remove netting it just doesn’t happen and yet more birds die or suffer. There seems to be little or no consequences for anyone who leaves birds to die or suffer in netting. Pest Control Companies should also be more responsible in not erecting netting where it will rub against anything, nor providing netting unless a maintenance contract is taken out and regular checks are undertaken. I am sure there are some responsible companies out there. Often the netting is falling down, covered in bird poo and the state of the building is worse than if it had just been left without netting. Please landloads and building owners please start taking some responsibility and ensuring your netting is safe and adequate for the job in hand. Don’t forget WRAS’s Unusual Quiz Night is being held on Saturday 7th May at East Dean & Friston Village Hall as usual. Doors open at 7pm, food served 7.30pm and the Quiz starting at about 8pm. Teams of up to 6 people. Tickets are £10 per person and include the free meal and entry to the quiz. There will be a bar and raffle. These quizzes are great fun evenings out which involve touch, taste, smell, sound, sight and much more!!! To book just call 01825-873003.